Team members from International Employment Experts recently traveled to Los Angeles, to meet with students from USC. Angela and Tanner were on-campus to give recruiting and interviewing advice to Master’s and Ph.D. 2017 engineering grads from USC’s Viterbi School of Engineering. 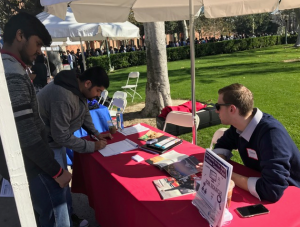 Viterbi’s Campus Career Fair happens twice a year, and is an avenue and resource for students to meet directly with prospective employers, prior to graduation. Long lines of graduating students participated in Viterbi’s Career Week, eager to meet with prospective employers. There were were hundreds of participating students. There were long lines at employer tables, so most employers were unable to interview interested students but they did manage to collect quite a few resumes. Tanner presented an information session about our upcoming Online Career Fair. This was recorded for access by Viterbi for their students who attend school remotely, or were unable to be on-campus that week. Most of the MBAs that the team met with during the week were international students, with extremely impressive resumes. There is amazing global talent available to employers. They are very eager to apply their training and talent, and are excited to participate in our Online Career Fair this April 5th. As of this date, we already have over 250 resumes on file for the event’s pre-registration. International Employment Experts invites employers to participate in the Career Fair. There is no cost to participate. Employers will have access to all of the registered candidate’s resumes. 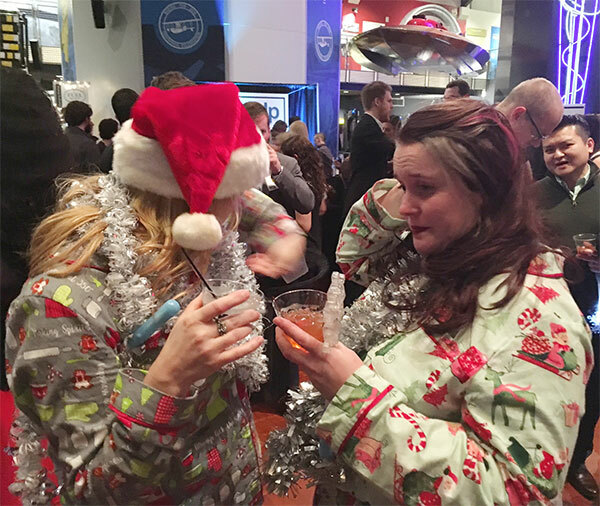 In addition, our own Talent Coordinators are happy to provide matches from the hundreds of participant resumes to jobs listings. We also have the ability to sponsor STEM graduates and alumni requiring immigration on your behalf, allowing you to hire the best and brightest engineers without hesitation. As a leading global engineering school, the Viterbi School understands and highly appreciates the key role their students play in California’s high tech economy. California remains at the center of many industries where engineering talent is essential, including both Silicon Valley and our very own Silicon Beach.